We study non-equilibrium transitions like thermal jamming or the clustering transition by exploring the energy landscape of passive or active soft particulate systems. Supported by a grant of the DFG (Schm 2657/3). 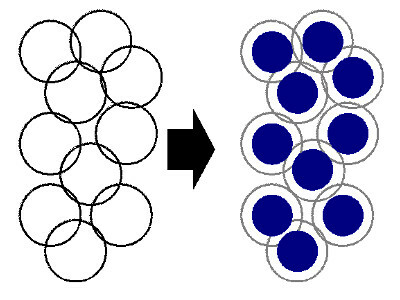 The slowdown of dynamics during gelation in colloid-polymer mixtures is attended by the formation of directed chains of colloids. 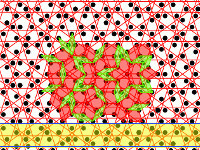 This structural transition corresponds to a directed percolation transition. 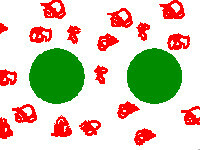 While for small overlaps the dynamics of soft repulsive spheres can be mapped onto the hard sphere behavior, large overlaps lead to multiple glass transitions and attractions to even more complex behavior. 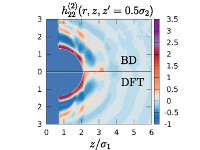 Due to the broken anisotropy, studies of a hard sphere system close to a wall reveal interesting insights to cage breaking and glassy dynamics. Supported within the Emmy-Noether-Program of the DFG (Schm 2657/2). We determine the complex phase behavior of charged colloidal particles that are surrounded by polymers. The resulting depletion attractions lead to a competition of different characteristic interaction length scales. We are interested how preferred binding angles in the case of patchy colloids influence the resulting self-assembled structures. 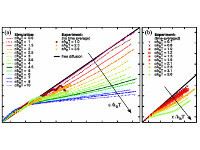 A phase field crystal model is developed for a theoretical description. Supported by a grant of the DFG (Schm 2657/4). 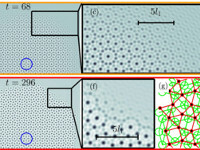 Ordering, growth, and complex structures on incommensurate substrates. Supported within the Emmy-Noether-Program (Schm 2657/2) and the Priority Program SPP 1296↗ of the DFG. We investigate properties of intrinsic colloidal quasicrystals using a phase field crystal model or simulations. 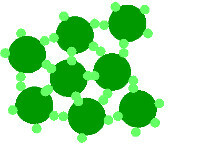 Phonons are well-known modes in periodic crystals. 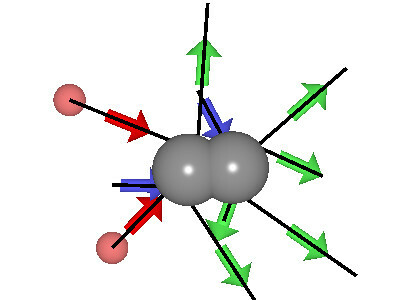 In quasicrysrtals, which are aperiodic, additional degrees of freedom (correlated rearrangements termed phasons) occur and change their properties. 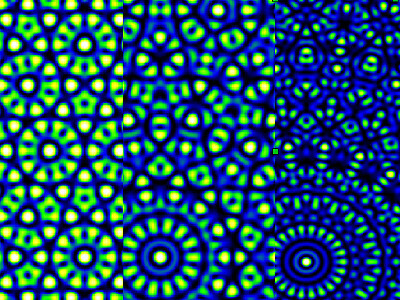 By employing the interference patterns of laser beams, a large varity of colloidal quasicrystals can be obtained and studied. We are interested in the photonic as well as quantum properties of quasicrystals. 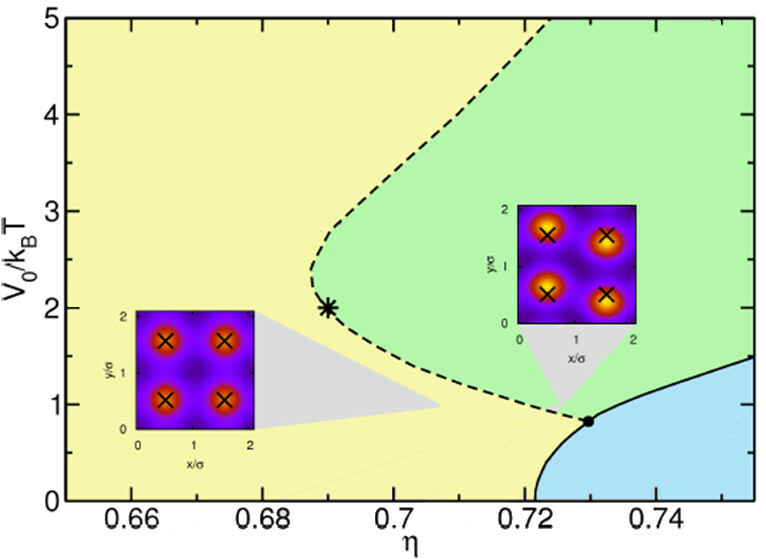 Furthermore, we explore the different types of trajectories in quasicrystalline Lorentz gases. 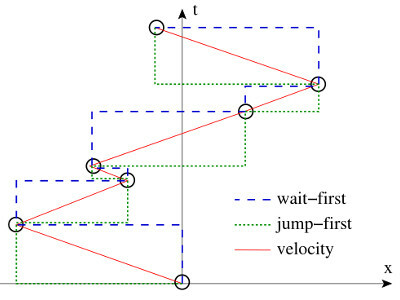 Intermediate and asymptotic regimes of motion of a colloidal particle in a one-dimensional random laser potential. We study and compare different Lévy-Walk and Lévy-Flight models. 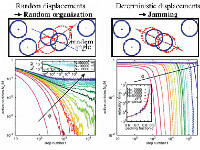 We are interested in pattern formation processes in systems consisting of living "particles". We develop and study phase field crystal models for their description. Twitching motility of Neisseria gonorrhoeae. We explore the microrheological properties of visco-elastic matter. Complete list of publications of M. Schmiedeberg: ↗.